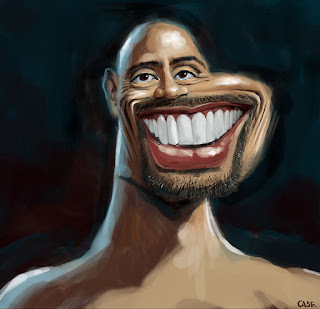 #caricatureresolution2017 day 25: Dwayne Johnson. I'm a late arrival to #caricatureresolution2017. Have made progress on a few of them but this is the first one to be done and finished on the right day. Will try and finish the rest before the end of the month but not sure how I'll go, Chinese New Year and all that.